Even the approach to this grand Palladian mansion, along a mile-long drive arching through 500 acres of parkland, is outstanding. 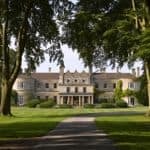 Just six miles from Bath, Lucknam Park offers an array of activities including walking trails, horse riding, swimming and tennis, plus fine dining and a superb new spa. Located only six miles from the historic city of Bath, Lucknam Park is an elegant 17th century Palladian mansion set in 500 acres of beautiful parkland and stunning gardens. The hotel has 42 individually-designed luxurious bedrooms and suites, many with breathtaking views over the Estate. Family-friendly and interconnecting rooms are also available. Superb leisure facilities await guests, including walking trails, bicycles, tennis courts and a five-a-side all-weather football pitch. 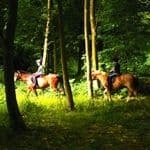 The Equestrian Centre has 35 horses and ponies suitable for everyone from beginners to advanced riders. There is a full-size all-weather arena, cross country course and fabulous hacking around the estate.Top quality instruction is available for all levels of experience. The award-winning Spa is regarded as one of the finest in the UK. There’s a 20 metre indoor swimming pool, Hydrotherapy pool, five thermal cabins, nine state-of-the art treatment rooms, a relaxation room, and a fully-equipped fitness suite. Lucknam Park is the only UK venue to offer Haslauer Reflective Sunlight Therapy, perfect for a winter boost. Dining is a special experience at Lucknam Park. The contemporary and stylish Brasserie serves healthy and hearty dishes from its fabulous open kitchen and wood-fired oven. Our more formal and elegant restaurant, Restaurant Hywel Jones by Lucknam Park, is open on Wednesday to Sunday evenings and offers Michelin-starred food and a world-class wine list. 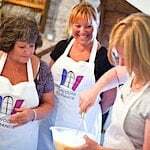 From Monday to Saturday, you can join a class in our Cookery School, with a wide range of full and half-day courses from Michelin-starred cooking in the home to Fish & Shellfish, Gastro Cooking and many more, some designed for children aged 8 years and above. Children can also enjoy The Hideaway, a converted cottage full of fun and activities that will see imaginations come to life. It’s open for all ages every day. 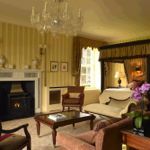 Click here for more about Lucknam Park’s tariff and latest special offers and packages.